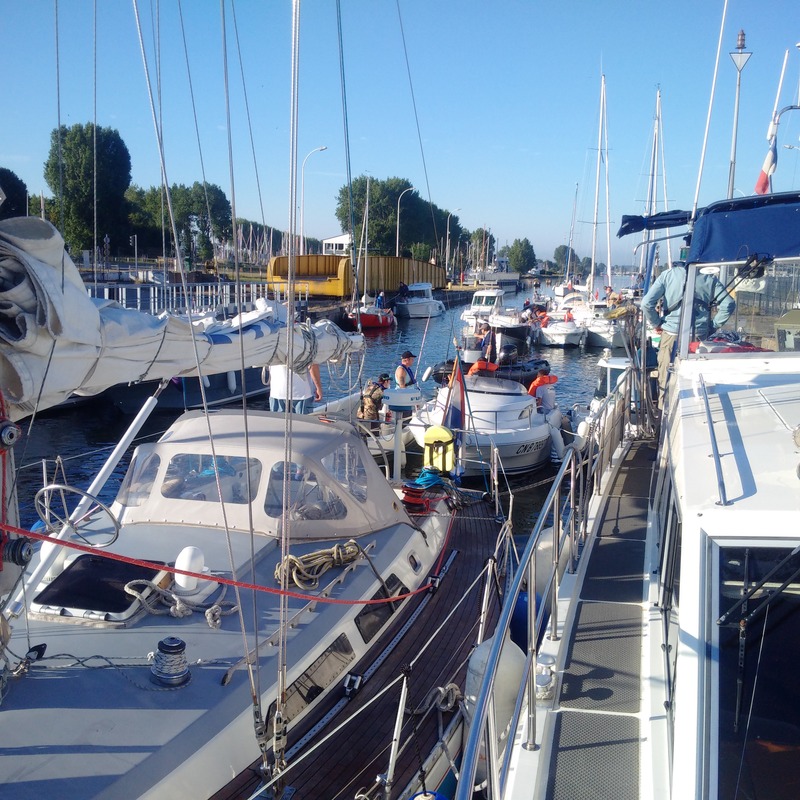 We were hardly alone in that 8am lock out from Ouistrehem to the sea as there were nearly 40 boats that joined us in the lock and then formed a huge echelon when the exit gates opened. Before this, we held our own, found a mooring in the lock and allowed another large Dutch boat to come alongside. 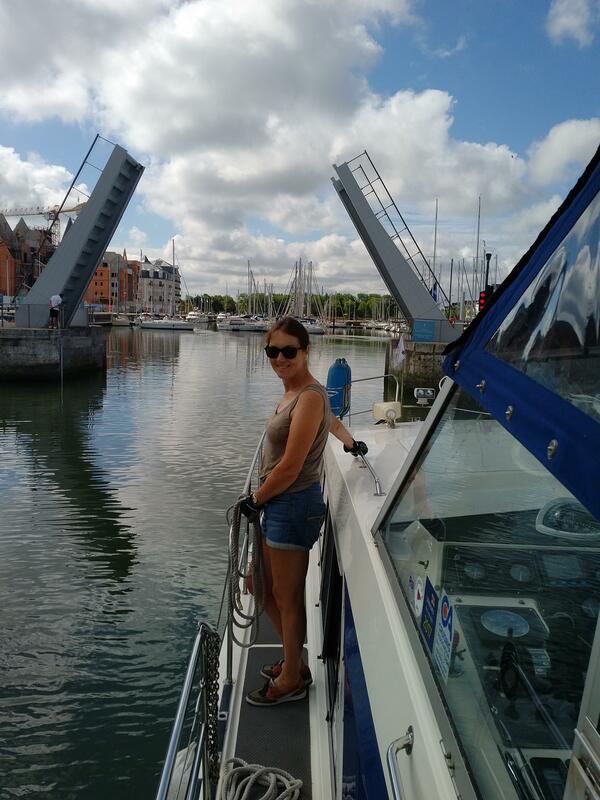 Having dropped around 1.9m to sea level the other side, we left the lock and had lots of boats speeding past us; competing for the best fishing spots to the north-west of the port and they made plenty of wash whilst doing so, which made it quite exciting for Kathleen. During the cruise, one of my GPS sets lost signal and I had to rely upon the other one but that is why we have two and i got it working my re-making the connections whilst underway. The entrance to Deaville/Trouville was fine and without difficulty and. 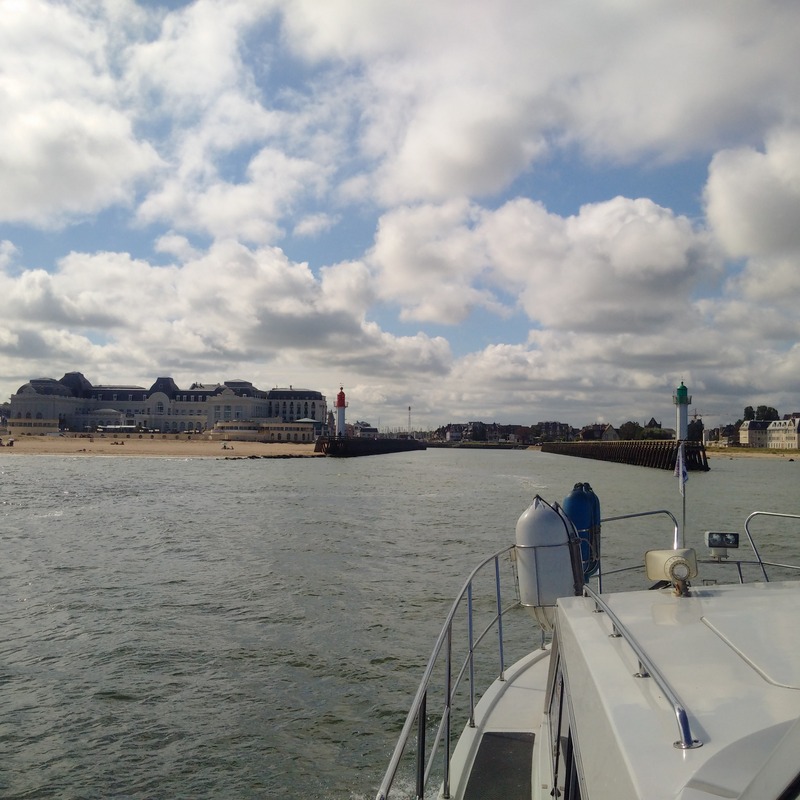 On this occasion, I opted to cruise through Deauville basin and then enter Bassin Morny. Traditionally, the visitor moorings have involved rafting on the starboard side but there are now mooring boxes there and we were waved and directed to moor alongside on a long pontoon on the port side as we entered there and did so. It was a comfortable and well-serviced mooring but was also situated a huge building site. It seems that the older part of the dock, once the situation for the local fisherman, has not been taken over for a posh new development of riverside apartments which are being offered ‘either for dwellings or for investment purposes’.